We thank the Ottoman Empire Archives for digitizing their photographs and drawings. We encourage all archivists and librarians to save their treasures and digitize them. We recently posted rare photos from the Ottoman Archives showing the forced conscription of (apparently Jewish) residents and looting of Jerusalem homes by the Turkish army prior to World War I. We present here an illustration found in the archives drawn almost 100 years earlier, prior to the invention of photography. 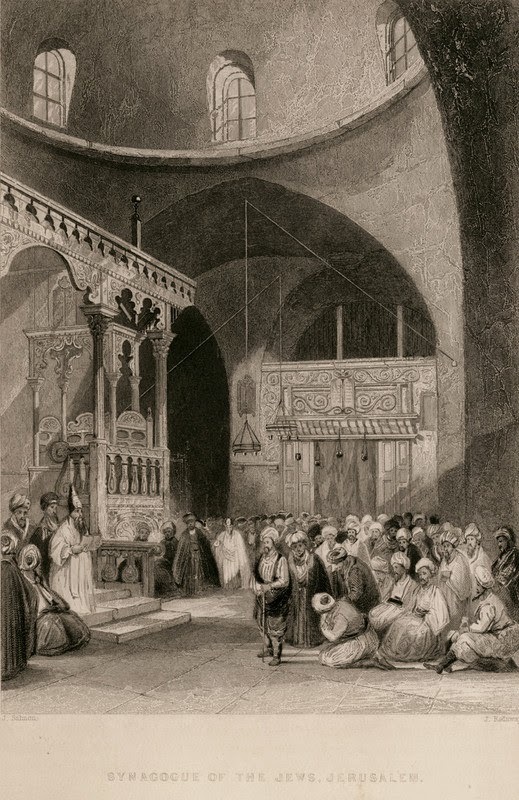 The illustration above appeared in the travelogue of a British writer, John Carne, who published Syria, The Holy Land, Asia Minor, &c. Illustrated in 1836 It is believed to show the Istanbouli Synagogue, established in Jerusalem's Old City in the 1760s by Turkish Jews. 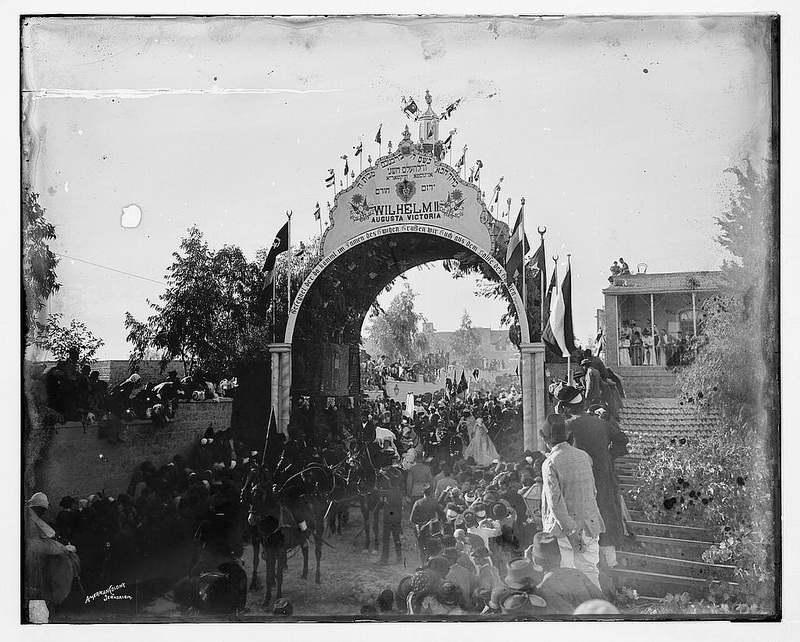 In 1898, the Emperor of Germany visited Palestine. The Jews of Jerusalem constructed a welcome arch to receive him. 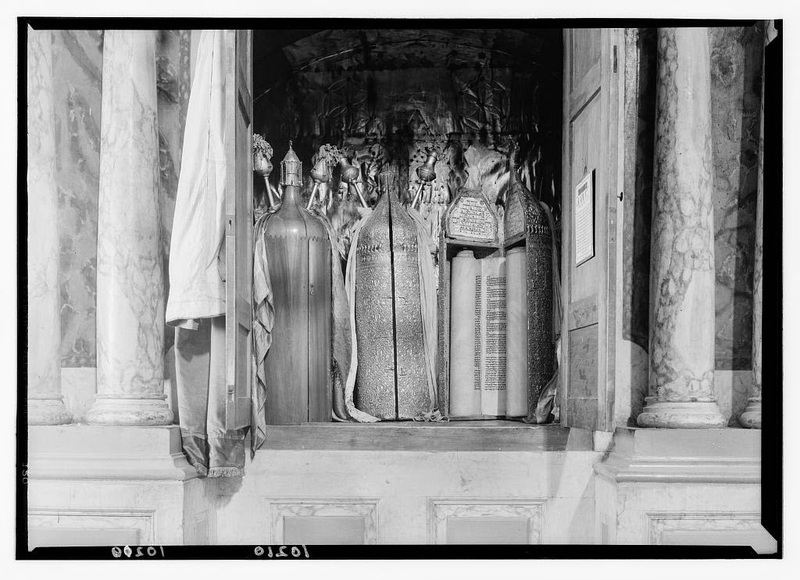 Upon enlarging the photograph, we were surprised to see the curtains from various synagogues' Torah arks adorning the walls of the arch, including one with the name of the Istanbouli Synagogue embroidered on it. 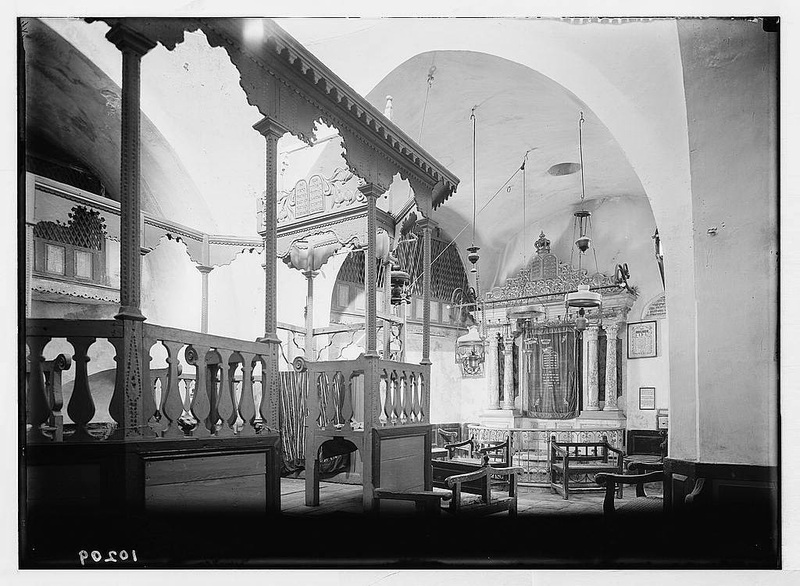 The picture below, apparently of the Istanbouli Synagogue in the late 19th century, was found in the massive Keystone-Mast Collection at the University of California, Riverside. 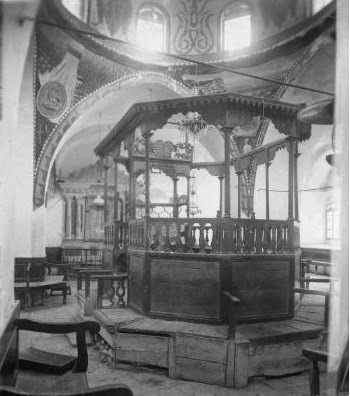 Inside a Jewish synagogue showing holy place and readers platform. Jerusalem. The Library of Congress archives contains newer pictures taken in the 1930s by the American Colony Photographic Department.